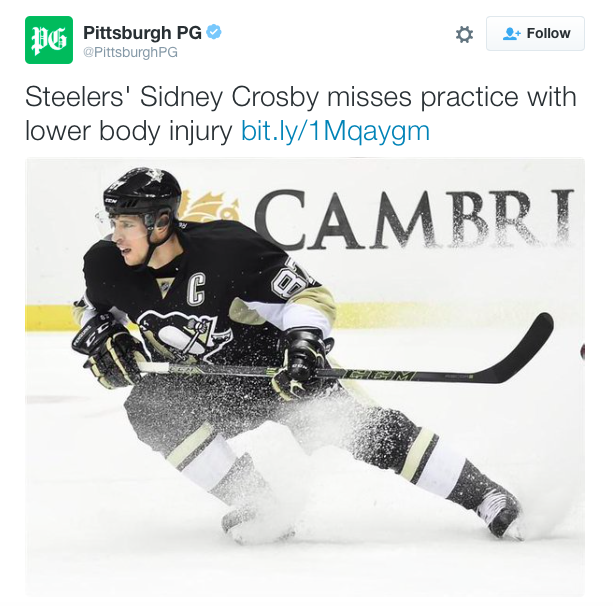 It’s pretty clear what the Pittsburgh Steelers need for their playoff drive – the All-Star hockey player that plays in town to switch sports and take up football. I mean, it’s not like the Penguins have anything going on this season (they currently sit 12th in the Eastern Conference) so why not give football a whirl? While the Steelers are at it, they should look into adding Andrew McCutchen as well and have Jamie Dixon help to figure out that pass defense.